In the run up to this year's Junior Dance Festival Charlotte Wyndham, the show's director, fills us in on the progress so far. With nearly 80 pupils and 15 dance routines everyone is working full on to make sure the performance is one to remember. The show runs from 31st January to 2nd February with all shows starting at 7pm. 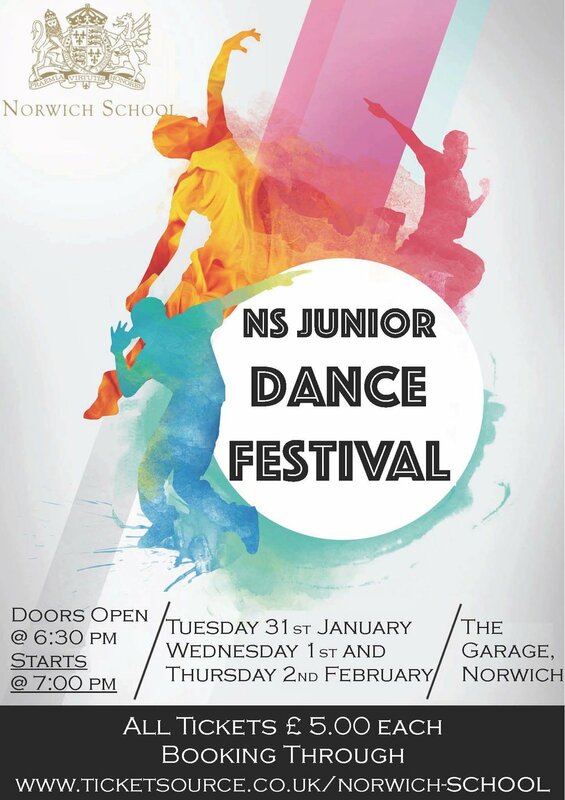 Tickets are available from the Norwich School Ticketsource page and with pieces choreographed by professionals, senior pupils and junior dancers alike, the production highlights the range of styles the dancers undertake in this rapidly growing area of extra-curricular school life. Rehearsals for the Junior Dance Festival are off to a great start! With 15 dance numbers in the show, we need all available time to ensure the dancers are ready for the performances, which are only 2 weeks away. During the Staff INSET day at the beginning of last week, L6 pupil Kelly began her hip hop dance number with her dancers. Kelly has a wealth of experience in this style of dance; this is a great opportunity for some of the junior dancers to really push themselves and extend their dance repertoire. 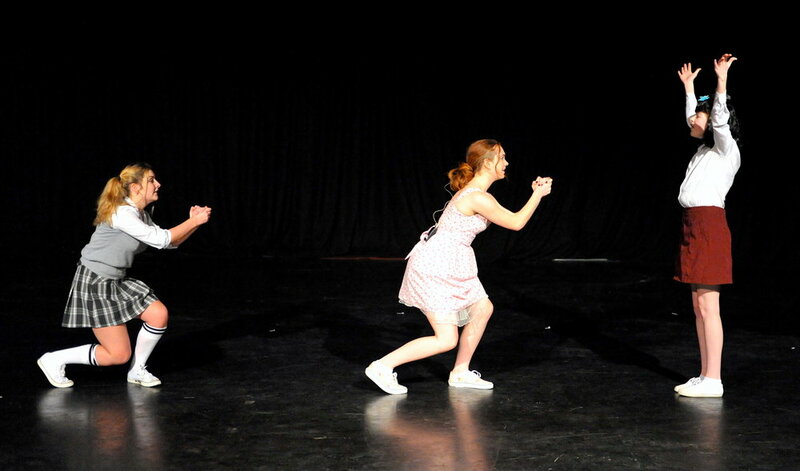 Ella Bartram and Alice Martin (M5) also began teaching their dance to the song 'Anything Goes'. With partner sections, canes and cheesy grins, this dance is going to be a lot of fun. Join us for an evening of brilliant entertainment that will get your toes tapping, your face smiling and will find the inner dancer in everyone! From musical theatre through to contemporary ballet; there is diversity and skill that is sure to impress. Costumes and props are being purchased and sourced, these include: braces, leg warmers and a watermelon... I wonder of anyone can guess how or why we are using a watermelon!